J. B. Rivard, author of Illusions of Magic, is a creative man. He’s written songs as well as orchestral works, exhibited award-winning paintings and etchings, worked as a reporter and journalist, published cartoons and illustrations, written novels and short stories. Today he talks about writing historical fiction. “You mean the Chicago Daily Times,” Noddy said, correcting him. Most historical novels are more restrictive than contemporary novels. The HF writer often portrays a true-life event or situation during its time, either as background for a fictional story, or as a fictional re-creation of that historical event or situation. This contrasts with contemporary novels, which suffer no such restriction. I grew up spending time as a youth in Chicago, and was drawn to its fascinating stories. When I came across the events surrounding Mayor Cermak’s wounding and death, I knew I had three weeks of drama to explore in the form of a novel. What aspects about the past do you specifically try to highlight in your novel? For me, the aspects to be highlighted depend on the nature of the story line. 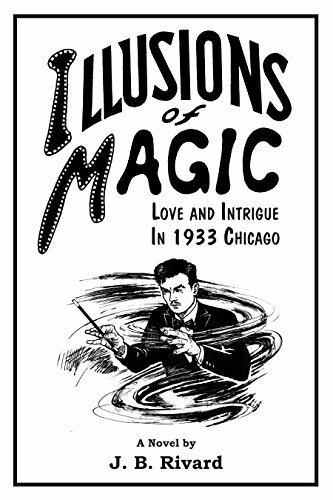 Because Illusions of Magic is set in Chicago during the Great Depression year of 1933, I highlighted the city’s desperate financial condition and its legions of unemployed. The novel’s protagonist is a magician, so I emphasized conjuring as practiced by magicians of the day. Finally, it was crucially important to highlight the turmoil that beset the City Council: They faced the death of Chicago’s mayor without a legal way to replace him. I use two techniques. First, I try to read as much actual history of the period and location as allows me to understand its milieu, appearances, culture and language. Second, I locate and study as many photo, illustration, map and other visual resources as are available from the period and location. Combined in my imagination, these components help me create the elements needed for the story. This knowledge also allowed me to imagine and create a drawing of the interior of the immense 12-track train shed that stretched for the length of three football fields to the north of the terminal. 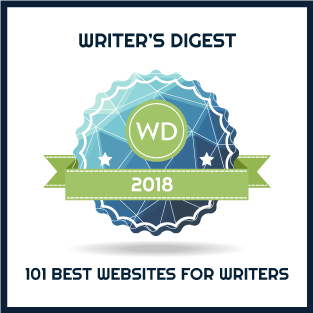 What aspects do you feel need to be included when you are building a world for your readers? For me, the paramount aspect is creating an authentic setting through description, dialogue, and nuance. For the fiction to be convincing, readers must feel they are actually living in that historic time and place. Illusions of Magic centers on a true-life, yet little-known historical incident: the attempted assassination of Franklin D. Roosevelt in 1933. The shooter, Giuseppe Zangara, fired five shots but missed Roosevelt. One of several people wounded was Chicago Mayor Anton Cermak. Cermak was hospitalized for nineteen days before dying. This incident forms the backdrop of the novel featuring struggling professional stage magician Nick Zetner. The story mixes Nick’s love life with a challenging case he takes on for a devious banker. His adventures propel the reader through highs and lows with punchy dialogue and easy humor. After writing the novel my partner Anya and I discussed a tangent that would, we hoped, make this novel more memorable. Having lived with its fictional characters for a span of years, I knew each like a close friend; over the next several months I created pen and ink illustrations of each of the main characters. To these I added illustrations of particular events. These became the fifteen illustrations in the eBook, including the drawing of Nick that appears on its cover. It’s our attempt to return the illustrated (adult) novel to the popularity it once enjoyed with readers the world over. A novel with illustrations – how novel! Many thanks for being on A Writer of History, J.B. I wish you great success with Illusions of Magic. This novel sounds great and I will definitely read it. I have followed your blog for a long time now, but never commented before. I began to read a newly published historical novel yesterday and was enjoying it a lot until I reached a sentence that I knew to be incorrect because I live in the city the author was referring to. This has made me now question other historical statements she makes in the novel. I will continue with my reading, because I rarely stop reading a book once I am into it, but some of the pleasure and trust has disappeared. Am I being too picky? I am a voracious reader of historical fiction, even when it was not as popular as it is now. I would love to hear some feed-back from other readers on this. Keep up the good work. By the way, I have read and enjoyed your novels; you are not the author in question!